Tomorrow is Ash Wednesday. That Lent itself would survive the 1960s liturgical demolition of the Roman Rite was probably never seriously in doubt, but Ash Wednesday's fate was evidently much more so. For some, the fact that the archaic Roman Lent once-upon-a-time began on Quadragesima Sunday (as it still does in MIlan, where the ancient Ambrosian Rite still holds sway) counted strongly against Ash Wednesday's retention. Popularity - and an obvious point of connection with the intersection of popular piety and contemporary secularity - had obviously not been enough to save Saint Valentine's Day, but they did thankfully suffice to salvage Ash Wednesday, which remains certainly one of the most popular - and best attended - days in the Church's entire calendar. In my 10 years as a priest in midtown Manhattan, Ash Wednesday was assuredly one of our best days. Ashes were distributed, more or less non-stop, from 6:00 a.m. until 9:00 p.m. Perhaps 2000+ people passed through the church that day to get their ashes. I remember once when the parish office got a call asking whether we would start giving ashes at midnight, which made me wonder whether the caller was confusing Ash Wednesday with Christmas! From a marketing point of view, I suppose, offering ashes at midnight might be a great attraction. Who knows how many might respond to the chance to be the first on one's block to get ashes? For many of those who come to get ashes on Ash Wednesday, it is a devoutly religiously spiritual experience. For others it may be a badge of a still somewhat important (but possibly fraying) Catholic identity or maybe just an exercise in annual nostalgia. For still others, who can even guess what multitude of complex meanings and imaginings the reception of ashes may have? On the other hand, who can deny the power of God's grace that must surely be at work in drawing so many to church to get those much desired ashes? Ash Wednesday is but the beginning of Lent. The common contrast between the multitudes coming to church on Ash Wednesday and the typically much more modest attendance at Mass on the Thursday following speaks volumes both about the popularity of Ash Wednesday and about its limitations. According to the Congregation for Divine Worship and the Discipline of the Sacraments: The use of ashes is a survival from an ancient rite according to which converted sinners submitted themselves to canonical penance. The act of putting on penance symbolizes fragility and mortality, and the need to be redeemed by the mercy of God. Far from being meant as a badge of Catholic identity, the reception of ashes is intended to serve as a powerful external sign of the Lenten season’s serious challenge to each of us to re-examine our own familiar patterns of life in light of Christ’s call to repentance and a new life of holiness. Today we enter upon the keeping of Lent, coming round again as it does every year; and every year too I owe you a solemn exhortation. That was how Saint Augustine began his homily for the First Sunday of Lent (Sermon 205) in his African diocese of Hippo, 16 centuries ago. I once knew a priest who professed to be surprised that we still observed Lent, that it had somehow survived the post-conciliar period. (Actually, the Council explicitly endorsed Lent. Of course, it also endorsed all sorts of things - like Latin and Gregorian Chant - the the post-conciliar period breezily jettisoned anyway.) Lent's survival in the inhospitable terrain of ahistorical post-modernity's triumphant secularity says something about its staying power, rooted in its inherent appeal to something deep in human experience. The result, as Augustine so matter-of-factly noted, is that Lent keeps coming round again as it does every year. So once again here we are on the cusp of Lent. In many parishes this is perhaps the busiest and most satisfying season. More "extra" things are done, with greater hope of popular interest and response. More effort may even be devoted just to doing non-extra things better. And, just as parishes plan Lenten programs and devotions, all sorts of people pause and consider what to do for Lent - what to do differently, or special, or extra, or less of "("giving up") for Lent. It seems safe to suggest that Lent in Augustine's time was a somewhat serious season with demanding expectations, more so than it has since become in my lifetime. And, even in my own lifetime, my parents' and grandparents' Lent, was still a whole lot more serious and demanding. But, by the time I turned 21 - the age at which the Lenten fast (even in its more relaxed modern form) would have become mandatory - the Lenten fast itself had just recently been entirely abandoned, except for a vestigial token fast of Ash Wednesday and Good Friday. Growing up familiar with the texts of what Pope Saint Pius X had once called those most ancient Masses of the Lenten season (now also largely gone), I was well aware - from, for example, the ferial Preface and so many of the ancient ferial collects - of the historical centrality of fasting for Lent's self-definition, its very identity. The diminished prominence of fasting in Lent has accordingly saddled the season with an identity crisis of sorts, which takes the form of that now common question - what to do differently, or special, or extra, or less of - for Lent. And here again, as so often happens, Augustine actually offers an answer that challenges us as powerfully today as it did Augustine's audience 16 centuries ago. For Augustine, Lent mystically signified the essence of our earthly life. So what has to be done throughout the whole of life, how much more during these days of Lent? And what, above all, has to be done throughout the whole of life? Before everything else, brothers and sisters, fast from quarrels and discord. ... These are the two wings of prayer, on which it flies to God: if you pardon the offender what has been committed, and give to the person in need. These past few Sundays prior to Lent, the gospel readings have been taken from Jesus’ “Sermon on the Mount,” which is all about the “kingdom of God” and what it takes to be a committed citizen of that kingdom. Citizenship has always been a somewhat exclusive concept. And, when it comes to citizenship in the kingdom of God, Jesus is quite exclusive indeed: “No one can serve two masters.” Nor should we be surprised when Jesus singles out material wealth as the alternative attraction that can undermine our commitment to God’s kingdom. “You cannot serve God and mammon,” Jesus asserted, without much qualification or nuance [Matthew 6:24-34]. Now obviously Jesus understood that we all need material things – just to live, let alone to live well. In Jesus’ society, as in most societies for most of history, most people were poor and most of their energy was devoted to just making a living. And Jesus and his disciples themselves depended on the generosity of others. At the same time, we all know how corrupting wealth – particularly the preoccupation with wealth - can be. In our own country, in our own time, we can observe firsthand how the increasing redistribution of wealth in an upward direction and the growing divide between the rich and powerful, on the one hand, and everyone else, on the other, seems to be tearing apart the fragile fabric of our civil society. Of course, this problem has been with us for a long time. Ancient philosophers warned against material excess that went beyond their understanding of the nature of the human person, and they gave moral priority to directing resources to the common good rather than to individual enrichment. The Jewish Law revealed in the Old Testament attempted to prevent the accumulation of wealth and associated such accumulation with disobedience of God’s command to identify with the poor. In a 4th-century homily, appropriately entitled On Avarice, Saint Basil the Great confronted his hearers with these words: The bread that you possess belongs to the hungry. The clothes that you store in boxes belong to the naked. The shoes rotting by you belong to the bare-foot. The money that you hide belongs to anyone in need. Basil’s challenging words – and Jesus’ own original words of warning – were not abstract or theoretical. They were – and are – addressed to all of us who aspire to be disciples, addressed directly and personally to all who would be citizens of the kingdom of God. At the dawn of the modern economic era, Adam Smith famously warned that the widespread disposition to admire, and almost to worship, the rich and the powerful, and to despise, or, at least, to neglect persons of poor and mean condition … is … the great and most universal cause of the corruption of our moral sentiments. We have heard similar language from Pope Francis, who early in his pontificate warned against a crude and naive trust in the goodness of those wielding economic power and in the sacralized workings of the prevailing economic system. Meanwhile, the excluded are still waiting. To sustain a lifestyle which excludes others, or to sustain enthusiasm for that selfish ideal, a globalization of indifference has developed. …The culture of prosperity deadens us. [EG 54]. Lent, which begins this Wednesday, has traditionally been a time to refocus on what matters most by re-calibrating our attitude toward so many of the things that deaden us, things that, if we are not careful, can quickly come to dominate and define us. Just to recall the three familiar Lenten practices, traditionally proposed and emphasized by the Church – prayer, fasting, and almsgiving – already says so much about what Lent is all about. Lent challenges us to focus on what is important – in contrast to our common preoccupation with wealth and other such short-term sideshows. With Jesus, Lent challenges us to refocus on what is in fact most important – to seek first the kingdom of God and his righteousness. Homily for the 8th Sunday in Ordinary Time, Immaculate Conception Church, Knoxville, TN, February 26, 2017. In time for Presidents' Day, CSPAN recently released its 2017 Presidential Historians' Survey, ranking the 43 individuals (from Washington to Obama) who have served as US Presidents from best score (Abraham Lincoln) to the worst score (James Buchanan). Ranking Presidents - like ranking movies or anything else - can be fun and is forever popular. But it is a dubious enterprise. We can clearly cluster a group of the best and perhaps another group that we consider the worst (while continuing to quibble about the exact ranking within each cluster). But, really, what exactly does it mean to rank as, say, the 22nd best President (Ulysses S. Grant) just above the 23rd (Grover Cleveland)? The top 10 according to the 2017 survey are Lincoln, Washington, FDR, Theodore Roosevelt, Eisenhower, Truman, Jefferson, Kennedy, Reagan, and Lyndon Johnson. I am OK with the first six. Lincoln saved the Union and in the process gave that Union a moral meaning rooted in the Declaration of Independence's assertion of human equality. Washington defined the Presidency and safely got the federal government started. He also set a vitally important precedent in voluntarily leaving office. FDR transformed the nation in a more communitarian and egalitarian direction and also led the US to victory in World War II. Theodore Roosevelt pioneered modern activist government. Eisenhower and Truman both successfully steered the country through the opportunities of post-war prosperity and the perils of the Cold War. As somewhat of a Hamiltonian, I find Jefferson politically - as well as personally - obnoxious, but I'll acknowledge his place in the top cluster, if only for violating his professed principles and doubling the country's size with the Louisiana Purchase. JFK did a great job steering us through the Cuban Missile Crisis, but hardly deserves to rank above his successor, LBJ, who actually accomplished so much more. Like TR and FDR, Kennedy and Johnson both believed in activist government; but, unlike Kennedy, Johnson was actually effective at activist government. As for Ronald Reagan, I'll give him high marks in foreign policy, but I think his infamous line in his first Inaugural Address - "In this present crisis, government is not the solution to our problem, government Is the problem" - had to be one of the most harmful and destructive comments ever made by any President in our entire history! 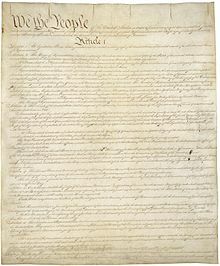 As for the bottom 10 - Martin Van Buren, Chester Arthur, Herbert Hoover, Millard Fillmore, William, Henry Harrison, John Tyler, Warren Harding, Franklin Pierce, Andrew Johnson, James Buchanan - my only serious argument might be about Chester Arthur, who vastly exceeded expectations and made an important contribution with Civil Service reform. (not perhaps a trending topic among contemporary historians). And is it really fair (and does it serve an purpose) to rank Harrison at all, given that he had only one month in the White House? Interestingly of the other Presidents who have held the office in my lifetime, George W. Bush is ranked at 33, just above the bottom 10 cluster. Richard Nixon stands at 28. As the only president ever forced to resign in disgrace, perhaps he should have a special category (or an asterisk). On the other hand, were it not for Watergate, Nixon would almost surely be ranked higher, given his administration's many real accomplishments. Gerald Ford and Jimmy Carter are ranked at 25 and 26 respectively. It seems only poetic justice to see Ford, having been narrowly defeated by Carter, climb one narrow notch above him in ranking! George H.W. Bush is ranked at 20. What stands out about his position is that he is right between the two one-term Adams presidents. Like Bush, both John (19) and John Quincy Adams (21) failed to win re-election, which usually counts as a mark against a president's reputation. (Except obviously for Kennedy, all of the top 13 won a second term.) But both of the Adams presidents were morally upstanding and extremely competent persons, whose gifts were insufficiently appreciated by increasingly "populist" electorates. And, like Washington before him, John Adams did the nation an incalculable service in his leaving of the office - leaving it peacefully in history's first presidential transition between opposing parties. Surprisingly Bill Clinton was ranked 21 when he left office, but is up to 15 now. In fact, Clinton left office extremely popular. And, while he remains popular, the left-ward direction of his party (and of the nation's rising demographic groups) might more likely be expected to diminish his stature over time. Finally Barack Obama is ranked at 12, just below Woodrow Wilson. Personally I would happily demote Wilson further down the list. But frankly I think it is just too early to rate Obama at all. I suspect his high rating reflects his present popularity, the high regard in which he is held for his personal qualities, his historic significance, and perhaps a not so subtle comparison with his successor. As I said earlier, ranking presidents can be fun. It can also cause us to reflect upon what we value and look for in leadership. Certainly such reflection is especially timely at this critical juncture in American presidential history! For many members of my generation, February was once a wonderful month with not one, but two public holidays – Lincoln’s Birthday on February 12 and Washington’s Birthday on February 22. In those days, those were real holidays, when schools and most businesses would be closed, unlike today when “holidays” are largely excuses for sales and for a frenzy of shopping and other activities utterly unrelated to what the holiday is ostensibly celebrating. When George Washington was born in the then British colony of Virginia, it was February 11, 1731, since the British Empire at that time still followed the Julian calendar. In the 18th century, the Julian calendar was already 11 days behind the Gregorian calendar. (According to the Gregorian calendar, already adopted in 1582 in Catholic Europe, the day George Washington was born was actually February 22, 1732). Finally, in 1752, Protestant Britain belatedly switched to the Gregorian calendar. In the process, it adjusted its New Year from March 25 to January 1. So Julian February 11, 1731, became Gregorian February 22, 1732. 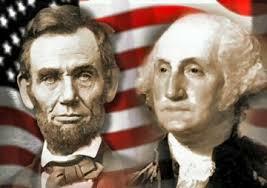 In the 19th century, Washington’s Birthday became a legal holiday in the United States and has remained so ever since. In 1971, however, the Uniform Holiday Act moved the holiday to the 3rd Monday in February - part of a general contemporary tendency to deplete our civic holidays of their actual meaning and to turn them into excuses for long weekends. Although the federal holiday is still officially “Washington’s Birthday,” since the 1980s it has unofficially become widely known as "Presidents’ Day," since in most jurisdictions it replaced the Lincoln’s Birthday holiday as well as Washington’s. Although deprived of a proper holiday and the opportunity which that holiday used to provide for Americans to learn about and appreciate Washington, his legacy remains as relevant for us today as it was when he wrote his famous “Farewell Address” in 1796. Of all the dispositions and habits, which lead to political prosperity, Religion and Morality are indispensable supports. In vain would that man claim the tribute of Patriotism, who should labor to subvert these great pillars of human happiness, these firmest props of the duties of Men and Citizens. The mere Politician, equally with the pious man, ought to respect and to cherish them. … And let us with caution indulge the supposition, that morality can be maintained without religion. Whatever may be conceded to the influence of refined education on minds of peculiar structure, reason and experience both forbid us to expect, that national morality can prevail in exclusion of religious principle. Personally, this rule has always seemed to me to be a reasonable requirement on the government's part in return for granting non-profits the privilege of tax-exemption. Non-profit , voluntary organizations (both religious and non-religious) don't claim tax-exemption by right but by virtue of the tax code which grants this exemption, because of a traditional consensus that such organizations represent an important and valued part of a vibrant civil society and out of a desire to encourage citizens to contribute to such voluntary organizations. Of course, Saint Paul instructed the Christians in 1st-century Rome: Pay to all what is due them—taxes to whom taxes are due, revenue to whom revenue is due, respect to whom respect is due, honor to whom honor is due (Romans 13:7). But it is obviously advantageous to the contemporary Church's mission - as an institution which, among other things, owns considerable property, for which it could ill afford to have pay property taxes - to be freed from this burden. 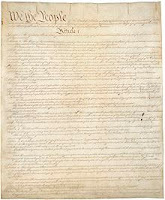 Regarding the notion that threatening to revoke tax-exemption threatens freedom of religion, Reese cites the 2000 Court of Appeals case Branch Ministries v. Rossotti, in which the Court argued: Plaintiffs were offered a choice: they could engage in partisan political activity and forfeit their Section 501(c)(3) status or they could refrain from partisan political activity and retain their Section 501(c)(3) status. That choice is unconnected to plaintiffs’ ability to freely exercise their religion. Plaintiffs therefore have not demonstrated that the IRS substantially burdened their free exercise of religion. Of course, a future court could rule differently, but the fact is no one can count on an eventual ruling that taking away tax-exemption would violate religious freedom. It certainly would adversely affect Churches financially, but that is not the same as taking away religious freedom. And, in any case, in American constitutional law and history religious freedom has been no more absolute, de facto, than any other right. American jurisprudence has historically balanced religious freedom claims against other social and civic values. For a country where there is already too much money in politics, Reese rightly points out the dangers to society from permitting non-profits to contribute to political campaigns. As for the Churches themselves, especially the Catholic Church in the United States, he also highlights the internal ecclesial damage such increased political activity might cause. He nots that American Catholics "are almost evenly split between Republicans and Democrats" and that "political endorsements could irreparably divide the Church." What Reese does not mention, but which to my mind ought to be quite critical to this discussion, rather than any presumed threat to religious freedom from the Johnson Amendment and the present state of the law is rather the potential danger to religious freedom to which repeal of the Johnson Amendment and increased partisan involvement might conceivably expose Churches. As I have noted previously, the continued effective exercise of any constitutionally guaranteed right depends upon a certain degree of social consensus about the meaning and extent of that right - and its impact on other also valued rights. Even more obviously, tax exemption depends upon a certain degree of social consensus about the public value of the activities in which tax exempt organizations engage, in this instance a long-standing consensus that the presence and free activity of Churches and religious organizations is of benefit to society. But that consensus may well be diminishing - especially among younger voters, some of whom may perceive religious institutions as obstacles to the full exercise of other rights which society now increasingly values. It is at least arguable that increased involvement on the part of Churches in right-wing politics (the presumed goal of President Trump's promise to repeal the Johnson Amendment) would further alienate younger (and increasingly less religious) voters, thus further diminishing the social consensus supporting not just tax exemption but expansive religious freedom claims in general. This would be a disaster for all religions in the United States and for American society as a whole. 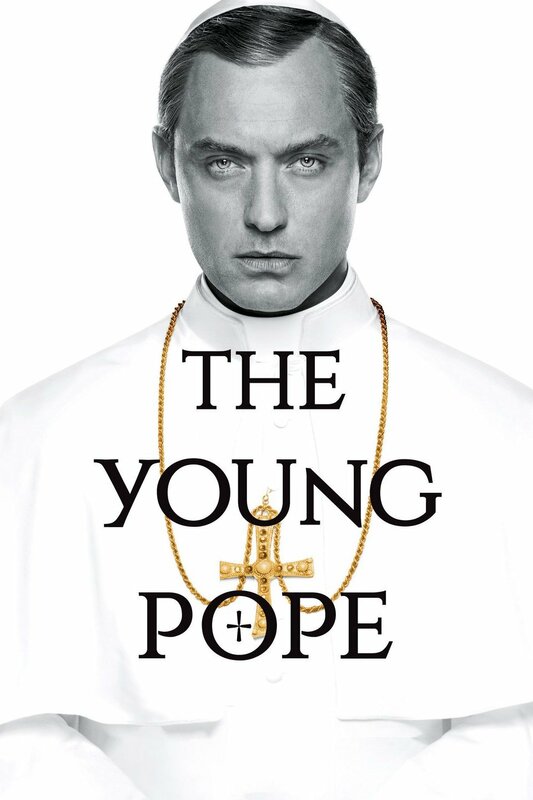 I have deliberately delayed until now writing anything about HBO's dramatic series The Young Pope, by Paolo Sorrentino and starring Jude Law as a very good-looking (if otherwise personally unattractive), young (40-something), American-born Pope. The premise of a 40-something, American-born Pope is itself so implausible that we are in effect already set up to accept the many other implausibilities of this bizarre fictional papacy. In addition to being American, Pope Pius XIII is Lenny Belardo, an orphan, abandoned by his "hippie" parents at age 11 to an orphanage run by Sister Mary (Diane Keaton) who becomes in effect the closest thing he has to a mother figure in his lonely life. His complicated childhood and his apparently life-long loneliness figure powerfully in his personality and in his strange behavior as pope. The series is littered with flashbacks and dream sequences, more than enough to classify it as "arty" and win it the accolades that frequently accompany such artiness. Fair enough. And it is also visually quite beautiful, which (along with its extremely cynical portrayal of the Church) may help explain it apparent popularity in Italy. Jude Law certainly looks like a pope. Indeed, one of the often commented upon features of the series is how he impressively dresses up the way popes used to do. To be honest, it is very refreshing once again to see a pope in tiara and mantum and seated on the sedia gestatoria. The problem, however, is that instead of being presented as him dressing in conformity with the expectations that traditionally accompany his office (which is objectively what he appears to be doing), the way he is actually presented suggests the opposite, that he is simply acting according to his personal whim. Personal whim, in fact, dominates this fictional pope's behavior throughout. If he does, indeed, objectively speaking, dress the way a pope might be expected to dress, his behavior is anything but what we would expect from any pope in almost any era. From his refusal to be seen by the public to his manner of interacting with everyone from state visitors to curial colleagues, his behavior is consistently the opposite of what the position of pope requires - regardless of what kind of pope one wants (e.g., "liberal," "conservative," traditional," "spiritual," pastoral," whatever). It is hard to conceive of any religious - let alone political agenda - that would be well served by such a personality in the papal throne. But worst of all, in my opinion, is his generally mean behavior toward those around him and the joy he apparently takes in humiliating people. Have we increasingly accustomed ourselves to the idea of political leaders who behave according to their personal whims and delight in disrupting established norms and in humiliating people? And what does that say about us? There is some discernible softening in Pope Belardo's personality and behavior in the final episodes (perhaps setting us up for some personal growth on his part in a second season?). 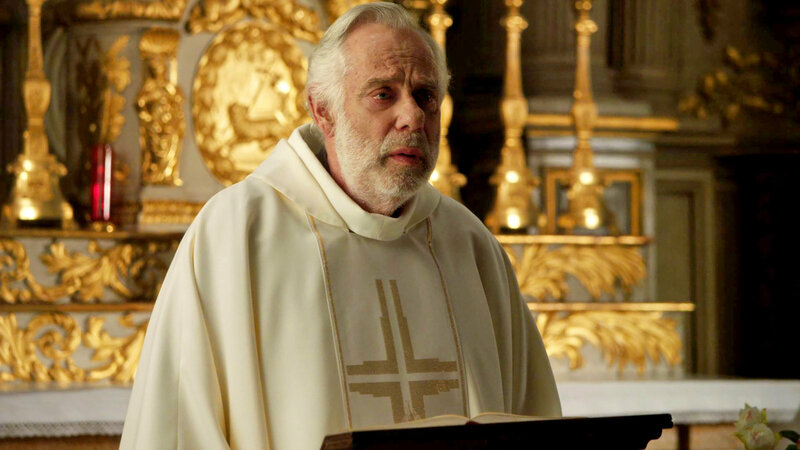 But the overall character of this pope remains an unattractive one, which in turn highlights the program's generally cynical and worldly presentation of the Church (with some significant exceptions, which give the show some welcome complexity). The repeated emphasis on Belardo's personal history as an abandoned orphan would be tiresome were it not for the fact that it seems to be intended as the primary explanation for his supposed spiritual uniqueness (which at least some see as signs of his sanctity) and his otherwise generally boorish behavior towards most real people. Perhaps his loneliness and his resultingly damaged personality are meant to identify him with the dilemma of our post-modern world, which is so increasingly cut off from its historical roots and any effective anchors, and so simultaneously seeks spiritual meaning while acting out in damaged and damaging ways. American TV generally has not been noted for producing strong and successful dramatic TV series focusing on religious themes and set in real religious congregations. So imagine my surprise when I accidentally came across (on Netflix) the three seasons of an amazing French TV series (in French with English subtitles) that does just that! The Churchmen is the English title for the French dramatic TV series Ainsi soient-ils (So be it, or Amen). It follows 5 French seminarians from diverse backgrounds who enroll at Paris's historic Capuchin seminary. One is a conventional candidate, a youngish "youth ministry" type, another is a Black architecture student, a third is from a thoroughly dysfunctional French family, the fourth is a wealthy scion of a dysfunctional in a very different way, business-owning family in Versailles, and the fifth is someone who grew up in what we would likely call "public housing" and who found religion while in jail for having murdered some criminal Russian thug. Season One especially introduces and focuses on the five, following them through their eventful first year of formation, but almost immediately becomes a story not just about them and their challenges and struggles, but also about their family difficulties, their clerical and religious formators - notably their progressiste rector, Etienne Fromenger (photo) - and all those other worldly, ambitious, and powerful prelates whose decisions and actions impact the seminary and its future priests positively and negatively. Admittedly, Church life in France faces distinct challenges that make it different in important respects from the situation seminarians and clergy experience in the Untied States, but a mark of how good this program is, it seems to me, is precisely how easily one can imagine so much of what happens in this French series as happening in an American setting. Certainly there were scenes and situations that recalled my own formation experience and that of others I know. Similarly so many of the the emotional and spiritual struggles - and the institutional challenges - facing the priests on the seminary faculty (and in the third season by the newly ordained priests themselves) would likely resonate with many American priests no less than European ones. The clerical characters (and others as well) are all very well developed in a way that avoids narrow categories and superficial stereotypes. The presumptive "good guys" all have their flaws and faults. And even the ambitious, worldly prelates and their entourages are real people, with multiple dimensions and apparently authentic faith. The challenges and the burdens of priesthood in this (or likely any) era are fairly presented, along with the diverse ways different prelates, priests, and seminarians attempt to resolve them - sometimes well, sometimes poorly, sometimes in uplifting and edifying ways, at other times in sadly unedifying fashion. If the series has a fault, it may be its attempt to tell too many stories at once. I recognize that this is now the reigning dramatic style and undoubtedly reflects the limitations of our contemporary attention spans. Still, that somewhat minor quibble aside, the series is effective in allowing the viewer to enter into the seminarians' and others' personal religious and social experiences in a way which sheds a brightly honest light on many dimensions of Church life and particularly priestly life in modern post-Christian societies, but always in an engagingly respectful way which invites the viewer to empathize with almost everyone in the story. Strong words! Serious words! Jesus’ message on that mountaintop in Galilee [Matthew 5:17-37] was meant to challenge – and continues to challenge – not just you and me and anyone else who claims to be Jesus’ disciple, but a whole way of life, that of his 1st-century contemporaries, and our entire way of life today. You may have heard something different, Jesus says, but I say to you! At the same time, Jesus also assures us that his message is not some idiosyncratic invention. I have not come to abolish, he says, but to fulfill. In doing so, Jesus invites us also to fulfill the destiny built into who we are, to become who we are meant to be – and so be, as we were told to be just last Sunday, the salt of the earth and the light of the world. Jesus’ Sermon on the Mount is a challenge to our common human tendency to settle, to do the minimum, to take the short cut, to focus on ourselves. In the new kingdom, to which Jesus is inviting us, anger and insults and contempt are as out of place as murder and must give way to the tough tasks of reconciliation, forgiveness, and mutual acceptance. Obviously, anger and insults and contempt and name calling may seem to do less immediate individual and social damage in the world than murder, but they still do plenty of damage; and, more to the point, they say something significant about who I am, about what I am like inside, about what is going on in my heart. Jesus challenges us to confront the powerful subtlety of sin within ourselves and our seemingly infinite capacity to make excuses to do the minimum and take the shortcut to moral mediocrity. And, as the simple parable about the gift at the altar illustrates, nothing can compensate for staying focused on ourselves and closing ourselves off from others, whoever those others might be – family member, next-door neighbor, Mexican immigrant, or Syrian refugee. Jesus in today’s Gospel is telling all of us that, if we want to respond effectively to his challenge to full Christian commitment, then we have to look at ourselves – at all our feelings and emotions and experiences – in the light of what God has made us for and how he expects us to get there, and then stretch ourselves by accepting the Lord’s invitation to full membership in the community of his disciples, who care for and support one another to be – not just what we can be- but what God himself is enabling us to become. Homily for the 6th Sunday in Ordinary Time, Immaculate Conception Church, Knoxville, TN, February 12, 2017. I must have been about 15 when I read my first biography of Mary, Queen of Scots. I especially remember a historical novel about her that particularly mesmerized me in the summer of 1963. I was a nerdy kid who loved history. Each September, when school resumed and we got our new textbooks, I rushed to read through the entire history book as quickly as possible, so eager was I to learn, so in love was I with other times and other places. And few foreign times and places were more exotic than Reformation-era England and Scotland (while simultaneously seeming so pertinent, thanks to the persistence of its religious divisions). Mary was born at Linlithgow Castle on December 8, 1542, the only surviving child of James V, King of Scots, and his French Queen, Marie de Guise. James's Scottish army had just recently been defeated by the superior forces of James' English uncle, Henry VIII, at the battle of Solway Moss. Ill with fever, the defeated king died six days after his daughter's birth, making Mary Scotland's new Queen. Depressed to hear he had a daughter instead of a son, he is supposed to have said that the Stewart dynasty "came with a lass and will go with a lass." He was wrong, however. His and his daughter's descendants have continued to reign over both Scotland and England since 1603. Through her grandmother, Margaret Tudor, Mary was the heiress presumptive to the even more desirable English throne, then occupied by Elizabeth I. She was thus - in the eyes of Catholic Europe - already England's rightful Queen. This unresolved tension between the two queens would lead to Mary's eventual execution by Elizabeth. Her second marriage - to the Catholic Henry Lord Darnley (also descended from Margaret Tudor) - was intended to bolster her claim to the English crown. It quickly proved to be a disastrously unhappy marriage, but at least it produced a son and heir, the future James VI and I. 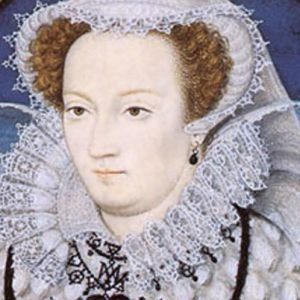 But Darnley's jealous collusion in the murder of Mary's Italian secretary David Rizzio, followed by Darnley's own suspicious death in the early morning hours of February 10, 1567, and Mary's rapid re-marriage to a Protestant Scottish Lord, James Hepburn , Earl of Bothwell, proved her undoing. She was soon forced to abdicate. A year later, she fled to England, where Elizabeth kept her confined for 19 years until her eventual execution. 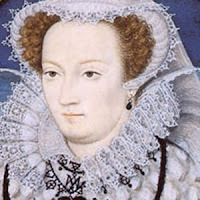 Had she lived another year and had the Spanish Armada succeeded in toppling Elizabeth, Mary would presumably have become England's Catholic Queen, although by then the association of Catholicism with Spain's imperial ambitions had disastrously weakened Catholicism's once strong position among the people of England. The religious dimension of the conflict between Mary and Elizabeth enabled my adolescent imagination to think of Mary as a kind of martyr, a title which - barring an official designation by the Holy See - she of course cannot actually claim, except maybe metaphorically. In fact, it was her political threat to Elizabeth's crown that got her killed; but in the 16th century religion and politics were inextricably intertwined, and Mary's Catholicism was what made her so threatening as Elizabeth's heir. Some 45 years earlier, in 1541, Henry VIII had executed Lady Margaret Pole, a distantly related, Yorkist-Plantagenet (i.e., pre-Tudor) claimant to the crown, who was also a Catholic (and the mother of a future Cardinal and the last Catholic Archbishop of Canterbury under Mary Tudor). When her son heard of her death, he announced he was now the son of a martyr. In 1886, Pope Leo XIII apparently agreed and beatified her as an English martyr. But surely the political and the religious were as inextricably intertwined in her case as in Mary's. Margaret may have been more pious, but their "martyrdom" was analogous. But Mary was also - and remains to this day - a much more enticingly romantic figure than Margaret Pole. England's Elizabeth I was a much more successful queen than Mary mainly because she consistently put the requirements of her public position above her private emotions, whereas Mary's disastrous second and third marriages were disproportionately affairs of the heart. That is what made her such a tragic figure - as even a 15-year old could comprehend. That is also what makes her story so perennially intriguing. A city set on a mountain cannot be hidden [Matthew 5:14]. How often have we heard that applied to our own American experience – usually in the more traditional translation as a city set upon a hill? Not that long ago even presidents talked that way. Ronald Reagan famously quoted it in 1984 and 1989. Prior to that John F. Kennedy quoted it in 1961 (photo), explicitly referencing the first recorded use of it in relation to America – Governor John Winthrop’s famous sermon, A Model of Christian Charity, delivered in 1630 to the Massachusetts colonists while still on board their ship. We must entertain each other in brotherly affection. We must be willing to abridge ourselves of our superfluities, for the supply of others’ necessities. We must uphold a familiar commerce together in all meekness, patience, gentleness, and liberality. We must delight in each other, make others’ conditions our own; rejoice together, mourn together, labor and suffer together, always having before our eyes our commission and community in the work, as members of the same body. So shall we keep the unity of the spirit in the bond of peace [cf. Ephesians 4:3]. … For we must consider that we shall be as a city upon a hill. They eyes of all people are upon us. Thanks to Winthrop and his fellow New England Puritans, Jesus’ famous challenge to his disciples to be the light of the world and a city set upon a mountain that cannot be hidden became a familiar and powerful American image, which over time has attracted immigrants from all over the world. Originally, of course, it referred to the Church, called by Christ to continue his life and mission by being light for an otherwise dangerously dark world. To apply that image to society simply acknowledges the relevance of Jesus’ challenging words in our ordinary lives. It loses its power, however, when we treat it as if it were automatic – like touching a switch. But, in the dark of night a city set upon a mountain might easily be hidden by the surrounding darkness, unless its streets and buildings are illuminated by the lights lit by its citizens’ communal efforts, none of which is automatic. Making a fire, lighting a lamp, illuminating a city – in the non-electric world of the Gospel none of that happens automatically. It takes conscious commitment and effort, and without that effort there is only darkness. The illumination Jesus challenges us to bring about requires our commitment to the kingdom of God, the coming of which we pray for every day in the Lord’s Prayer – a state of affairs in which God is in charge, a word transformed by the saving power of Christ, where the forces of evil are in retreat, divisions are undone, and (as Winthrop said) we delight in each other, without fear of the dark. Jesus’ life, death, and resurrection have revealed that God really is in charge – despite all appearances to the contrary, despite the obvious and persistent presence and power of evil in our world. Jesus challenges us to side with the light and reject the dark. But that is not so easy as it sounds. For darkness still very much dominates the world. Yet, in spite of all that is so terribly wrong in our world, Jesus invites us to follow him into his kingdom, with confidence in his light’s power. So, while people still die, the resurrection of Christ assures us that death no longer has the final word. And, although people both in private life and public life still hate, exploit, and abuse, yet God’s kingdom of justice, reconciliation, and peace has already begun to take root in our world – through our life together. In the dark, it seems only natural to hate, exploit, and abuse those who appear different from us in some way, and to be attracted to those who succeed in the world by doing such things, those the world admires and the powerful praise as “winners.” It takes the fire of love to light the lamp of reconciliation and to illuminate a city with God’s justice and peace. On our own, we would long ago have been left in the dark; but Jesus himself has provided us with the fire to light up his city, freeing us to share that light with one another. Of course, even a city set on a mountain has to draw its water from the ground below. We are not on some private planet all by ourselves, but very much a part of this this time, this place, this society. Hence, Governor Winthrop’s detailed instructions to his fellow settlers on what being an authentic human community must entail – instructions every bit as timely today as they were then. There is a darker approach to life in the world, one which seems increasingly to set society’s tone today, an approach which sees everything in life in terms of competition – society, politics, culture, economics, everything becomes a kind of zero-sum game of winners and losers. But, just as the light of any one individual candle will continue to burn with its full brightness, no matter how many more may be lit from it from it, we need not worry that the light will be lost if we share with others. Jesus does not want us to huddle, frightened and fretful, around a weakly lit fire, but to be a bright, well-lit city set on a mountain that not only can but wants to be seen for miles around – a new kind of community that already in the here and now has begun to live the new life of God’s kingdom, a city that not only cannot be hidden but that can, quite literally, light up the world. Homily for the 5th Sunday in Ordinary Time, Immaculate Conception Church, Knoxville, TN, February 5, 2017. It is edifying to see so many protests against the Administration's targeting of refugees and immigrants. But there is a danger - to which progressives are particularly prone - to settle for protests in preference to actual political engagement and mobilization. (Would the country even be in this position if progressives' presumptive constituencies had taken voting more seriously?) For better or for worse, what matters most is not how many people protest or how loud they are, but how effective they are as an opposition party in elections. That requires real interest and commitment on the part of actual voters. It also requires some some serious rethinking by those who need to win their votes. Members of my generation can well remember a time when political parties were broad coalitions of interest groups clustered around a national consensus on national purpose which was both wide and deep. Parties competed for a few months every two or four years, then settled down to cooperate in governing in the interim. It was that interim that was the "ordinary time" of American political life. Now all that has changed. Our parties are narrowly based ideological groupings in perpetual competition and engaged in non-stop campaigning. Elections are the new "ordinary time." There is no real interim anymore. And increasingly there is little actual governing - and even less cooperation in governing. This has completely altered the function of an opposition party from what it was 50 or even 25 years ago. Back then it would have been scandalous to suggest, for example, that the Democrats should automatically oppose President Trump's Supreme Court nominee for no other reason than that he is the Republican President's pick. But that was before the Republicans did precisely that to President Obama's Supreme Court nominee in 2016 - in effect stealing the nomination from the President whose constitutional duty it was to fill it. In such a perversely hyper-partisan politics, what alternative do the Democrats have but to oppose? But, however satisfying such opposition may be, expressive protest remains always at most marginally effective. An opposition party (in this case the Democrats) must rally real voters with an actual alternative vision that is compelling enough to overcome the narcissistic self-absorption that prefers expressive protest over actual politics. Nor will just any old political vision suffice. An effective opposition must offer a real alternative that speaks to the suffering and striving of more than just a few favored special interest groups. That means a vision for America that speaks, among others, to collapsing rural communities, to "blue collar" Rust Belt factory workers whose manufacturing jobs have disappeared or soon will, to "middle class" families whose wages seem stagnant and whose mobility seems downward rather than upward, and, yes, to refugees and immigrants derided and despised by 21st-century Know-Nothingism. The familiar carol stops at day 12, but today is actually the 40th day of Christmas and thus the definitive end of the Christmas season. This is a very ancient feast, which incorporates several interrelated themes, reflected in the different names given to this day. All these different names illustrate how full of meaning this festival is, and how much it has to teach us. What is currently called the Presentation of the Lord, was for several centuries called the Purification of the Blessed Virgin Mary. When Jesus was 40 days old, Mary and Joseph journeyed to Jerusalem according to the law of Moses, that is to say, in obedience to God’s law, in order to observe two important religious obligations. The first - the ordinary obligation to be purified after childbirth - reflected ancient beliefs about the sacredness of blood. Life was believed to reside in the blood, which was, therefore, something sacred and mysterious. Hence, any direct contact with blood required ritual purification. The second concerned the special status and religious responsibilities of a first-born son (because of God’s having spared Israel’s first-born at the time of the Exodus). A secular version of Candlemas is “Groundhog Day.” Not so long ago, everyone in the western world knew about Candlemas Day. Today, many seem to have forgotten. 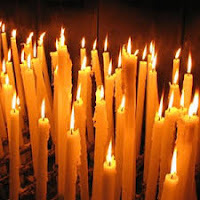 Yet even people who have never heard of Candlemas recognize the folklore connected with this day and connect it with the change of seasons. While the weather is still wintry, the days are noticeably getting longer. Whereas Christmas comes at the mid-point of the winter’s darkness, with the year’s shortest day and its correspondingly longest night, Candlemas comes at the mid-point between the winter solstice and the spring equinox, the transition (according to one way of reckoning the seasons) from winter to spring. Soon, day and night, light and dark will be equal. So this last of the winter light festivals invites us to look ahead to what these winter light festivals are meant to symbolize. Today we recall with joy the Lord’s entry into his Temple: and suddenly there will come to the temple the Lord whom you seek. At the same time, we hear, in wise old Simeon’s words to Mary, the first reference to what lies ahead, the first reference to the cross. Behold, this child is destined … to be a sign that will be contradicted – and you yourself a sword will pierce – so that the thoughts of many hearts may be revealed. So, even as we take a last look back at winter and Christmas, Candlemas looks ahead to spring and Lent, and reminds us that the point of Christmas is Easter. Simeon and Anna’s encounter with the infant Jesus in the Jerusalem Temple points us toward our own encounter with the Risen Christ here and now. Back when I was a political scientist in the late 1970s, I read an article by someone who suggested an analogy between constitutional monarchy and constitutional democracy. He argued that the former was a successful, 19th-century institution which works well in places where it is already well established and where it resonates with the country's culture, but which should not be expected to spread and take root elsewhere. By analogy, he argued something similar for 20th-century constitutional democracy, a system successfully well established in certain countries where it resonates with their history and culture, but which should not be expected to spread and take root elsewhere. At the time, I was somewhat taken with this theory. Then history happened. Among other things the Soviet Empire collapsed, and constitutional democracy seemed to be spreading all over the place. Some (President George W. Bush and many neo-conservatives, for example) even thought it might take root in the Arab middle east - of all unlikely places! Then history happened again, and constitutional democracy largely retreated to its western cultural homeland. But there too it is increasingly troubled. The modern neo-Roman empire that is the EU, widely faulted for its "deficit" of democracy, has by its arrogant over-reach and its other manifest failures inspired a powerful populist reaction, that may yet salvage European nation states and even many of the institutions of the modern welfare state but may not be so solicitous for constitutional democracy as hitherto understood. Even more surprisingly, something analogous seems maybe to be happening in the Untied States. The framers of the US constitution were well educated in the classics and understood very well how fragile constitutional democracy would be. They knew how fragile and short-lived both its ancient and early modern antecedents had been. That they created a system so resilient that it could survive the multiple stresses of the next two centuries (including a four-year civil war) was quite an accomplishment. Given their understanding of human nature and of history, they might well be surprised by their system's resilience, but perhaps less surprised by the forces that increasingly threaten it. Fundamentally, a constitutional democracy requires citizens, socialized by society to undertake serious public-oriented responsibilities in the civic spirit which citizenship requires. (Citizen, as President Obama wisely reminded us in his Farewell Address, is "the most important office in a democracy.") Capitalism, in contrast, creates consumers, not citizens; and consumerism can be considered the very antithesis of citizenship as classically understood. The process of deforming American society into a fundamentally apolitical, individualistic, consumerist society has been going on for a long time, but has accelerated wildly in recent decades. As Alexis deTocqueville famously observed early in the 19th-century, a fortuitous mix of social and cultural factors have historically worked together to mitigate this process in the United States, notably among them the role of religion in American society. In the 20th century, the Second World War, with the almost universally shared national commitment it inspired and common experience of sacrifice at home and military service abroad, fostered a strong civic spirit among the so-called "Greatest Generation." That civic spirit made possible perhaps the most successful period in American history, which can now be recalled only with nostalgia. 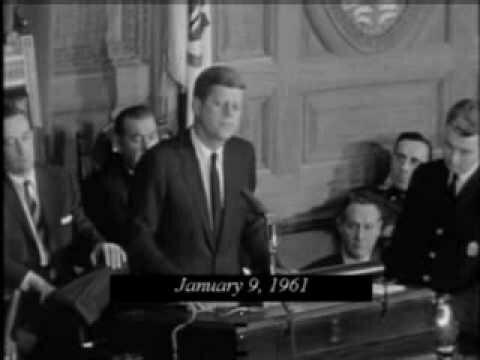 Compare, for example, President John F. Kennedy's 1961 Inaugural Address with President Donald J. Trump's in 2017. As for religion, the durability and strength of which DeTocqueville and other admirers of American exceptionalism have lauded, it too is in flux in post-modern, 21st-century America. Certainly vibrant religious communities and institutions still survive in the United States as a viable alternative to European-style secularization. But, as the 2016 election dramatically demonstrated, too much of what passes for religion in the United States has increasingly subordinated itself to demagogic partisan politics. As Russell D, Moore, of the Ethics and Religious Liberty Commission of the Southern Baptist Convention, recently observed, “The religious right turned out to be the people the religious right warned us about.” His election-year challenge “to dethrone politics as a religion and as a source of identity while at the same time remaining engaged in our responsibilities as citizens,” clearly went unheard and its implicit warning unheeded.